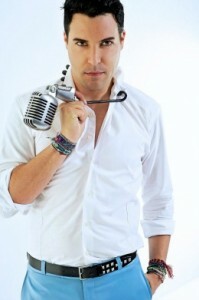 FRANKIE MORENO WILL OPEN NEW SHOW AT PLANET HOLLYWOOD: Named “Las Vegas Headliner of the Year” two times, home grown headliner Frankie Moreno will return to the Strip with a new show “Under The Influence” opening at the PH Showroom at Planet Hollywood on Wednesday, April 20. Tickets range from $33 to $88. Shows will be Tuesday through Sunday at 9 p.m. Each performance will feature Moreno’s hit-inspired original music, reimagined takes on chart-topping songs, and signature choreography and performances by professional dancer Lacey Schwimmer of “Dancing With the Stars” fame. Moreno is poised to break out of the Las Vegas entertainment scene and onto the national stage. WYNN PLANS NEW LUXURY RETAIL DEVELOPMENT: Wynn Las Vegas announced the development of Wynn Plaza, an expansive uniquely designed 75,518-square-foot luxury retail complex that will augment the existing luxury retail collection at Wynn and Encore. Debuting the fall of 2017, Wynn Plaza will bring the total retail square footage to more than 173,500 square feet and complement the current brands at the two resorts including Chanel, Louis Vuitton, Dior, Hermès, Loro Piana, Moncler, Prada, Alexander McQueen and Givenchy. ELVIS EXHIBIT AT WESTGATE CLOSES SUDDENLY: The doors of the “Graceland Presents: Elvis the Exhibition” at the Westgate closed suddenly last week over a dispute with less than a year into a 10-year contract. The exhibit opened last April. 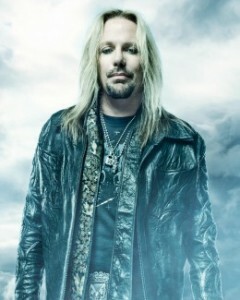 VINCE NEIL WILL HOST ST. PAT’S SHINDIG AT BEER PARK AT PARIS: Mötley Crüe rocker and current contestant on NBC’s “Celebrity Apprentice,” Vince Neil, will host a St. Patrick’s Day celebration at Beer Park by Budweiser at Paris beginning at 7 p.m. on Thursday, March 17. That night, Beer Park will add green beer and Irish-inspired food selections with live music from 8 p.m. to midnight. 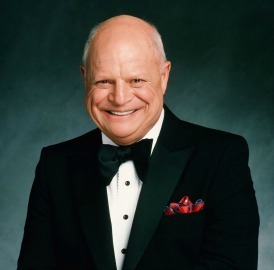 DON RICKLES RETURNS TO THE ORLEANS SHOWROOM: Returning for his 57th consecutive year as a Las Vegas headliner, legendary comedian Don Rickles will perform at The Orleans Showroom on April 9 and 10 at 8 p.m. Rickles is famously known for his attack humor, which has earned him nicknames like “The Merchant of Venom” and “Mr. Warmth.” His style of comedy is never mean-spirited and all part of his act. Most people who get “zinged” by him consider it “a badge of honor.” Tickets start at $69.95. STEELY DAN WITH STEVE WINWOOD WILL VISIT CAESARS PALACE: Rock ‘n’ Roll Hall of Famers Donald Fagen and Walter Becker have announced Steely Dan will be back on tour this summer with their friend and special guest singer/songwriter/multi-instrumentalist Steve Winwood. These two multi-Grammy Award-winning legends will appear on Sunday, June 19 at The Colosseum at Caesars Palace. 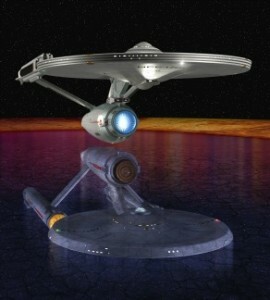 ‘STAR TREK: THE ULTIMATE VOYAGE’ WILL LAND AT ORLEANS ARENA: “Star Trek: The Ultimate Voyage” will bring 50 years of “Star Trek” to the Orleans Arena on April 4. The production has a live symphony orchestra conducted by Justin Freer and international solo instruments bringing the music of “Star Trek” to life while the most iconic film and television footage is shown in high-definition simultaneously on a 40-foot wide screen. Tickets are available for $50. MORE ENTERTAINMENT HIGHLIGHTS: Grammy-nominated legendary rock band Goo Goo Dolls, supported by Collective Soul and Tribe Society, will host a concert at the Downtown Las Vegas Events Center (DLVEC) on Friday, Sept. 16. Tickets start at $39.50. Celine Dion has resumed her residency at Caesars Palace through March 12 and will return in May for shows through June 4. Tickets are on sale now for her 27 new shows scheduled Sept. 20-Oct. 8 and Nov. 1-26. Wynn’s daylife and nightlife venues have announced exclusive 2016 residency dates for DJ, songwriter and producer Kaskade at Encore Beach Club and XS Nightclub running April 9 through Sept. 4. The remaining March headliners appearing at the Golden Nugget at 8 p.m. as part of their 52 Fridays Concert Series include: America on March 11; Eddie Money on March 18; and Pam Tillis and Lorrie Morgan on March 25. The amazing pint-size Kristin Chenoweth is returning again to The Smith Center on Friday, March 25. Tickets start at $29. Comedic star Dana Carvey will headline The Orleans Showroom on April 1 and 2. He rose to fame during a six-year stint on NBC’s “Saturday Night Live,” where he played fan-favorite recurring characters, including “Church Lady,” “Garth” and “Hans.” Tickets start from $54.95. Herman’s Hermits Starring Peter Noone will star at the South Point Showroom March 11-13. Tickets start at $45. Roseanne Barr will follow March 17-19 with tickets starting at $50. The Lettermen will close out the month appearing March 25-27. All shows are at 7:30 p.m. 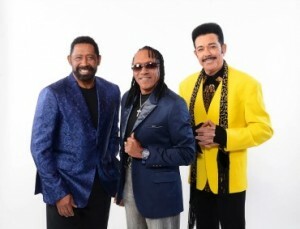 The Grammy award-winning funk group, the Commodores, will appear in concert at Star of the Desert Arena in Primm about a 40-minute drive from Las Vegas on Saturday, March 10 at 8 p.m. Tickets start at $21.80. Creedence Clearwater Revisited will bring its swamp rock sounds with hits like “Green River,” “Bad Moon Rising” and more to The Orleans Showroom March 19-20. Tickets start at $59.95. Hal Savar is premiering his new show “By-Request” on Thursday, March 10 at The Lounge in the Palms from 9 p.m. to midnight. Savar’s all-request human jukebox band concept makes the audience an integral part because they pick the tunes. “Moonwalker: A Michael Jackson Tribute Show” will appear in the Veil Pavilion at the Silverton on Friday, March 11 at 8 p.m. Tickets start at $25. “Foolish Friday: The Magic of Seth Grabel” will be there on Friday, April 1 at 8 p.m. He was on season six of “America’s Got Talent.” Tickets are $15. 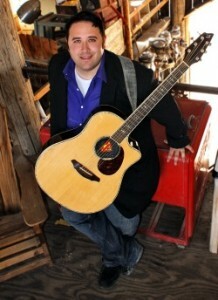 Local country DJ, Damian Kane is back at Stoney’s Rockin’ Country every Tuesday, Thursday, Friday and Saturday night. The LAX Nightclub at the Luxor will host Kid ‘n Play, a special Throwback Thursday Pajama Jam, on Thursday, March 24 with the hip-hop duo, Christopher “Kid” Reid and Christopher “Play” Martin, best known for the iconic “House Party” film series. Guests are encouraged to don sleepy time wear. On Thursday, March 10, West Coast hip-hop pioneer Too Short will take the stage. ‘MARRIAGE CAN BE MURDER’ STAR JAYNE POST CO-AUTHORS BOOK: The D’s “Marriage Can Be Murder” co-creator and star, Jayne Post co-authored “No Future Without,” a fictional book based on the real-life accidental death of her 16 year-old son, Paul P. San Agustin. While riding his bike near his home in Henderson in 2003, he was hit by a 16-year-old driver and died. “No Future Without” weaves a harrowing tale of a mother’s worst nightmare. The reader is lead through two parallel endings – one of forgiveness and grace, and one of resentment and anger. The book is available on Amazon. 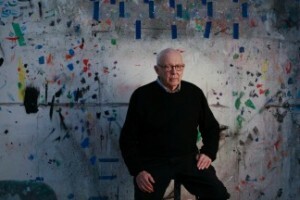 ELLSWORTH KELLY PRINTS ON DISPLAY AT BARRICK MUSEUM: A collection of more than 20 print editions by renowned artist Ellsworth Kelly is on display through May 14 at the Barrick Museum Inner Gallery located on the UNLV college campus. Kelly was an American painter, sculptor, and printmaker who created works of cleanly juxtaposed colors and shapes and is largely considered to be one of the leading abstract artists of the postwar period. All of the works in this exhibition were created during the last two decades of his collaboration with Gemini G.E.L, the now-legendary print workshop located in Los Angeles. DINING NEWS BITES: N9NE Steakhouse at the Palms is offering a brand new happy hour menu exclusively in the bar and lounge from 5:30 until 7:30 p.m. Monday through Friday. Grimaldi’s Pizzeria has two new menu items, the Kale Chopped Salad and a Bruschetta Trio, and an expanded wine list with 21 new selections. 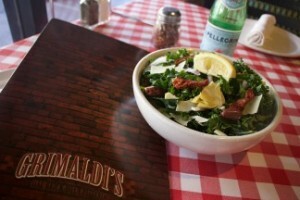 Grimaldi’s has launched an online ordering system for take-out orders available for all 42 stores nationwide. ESSENCE VEGAS’ LAS VEGAS STRIP LOCATION IS OPENING: Following the opening of its Essence-West location in mid-February, Essence Vegas will open Essence – The Strip, its second location in the Las Vegas Valley and the first and only marijuana dispensary on the Strip at 2307 S. Las Vegas Blvd. on Wednesday, March 9. Essence Vegas will follow with its third location in Henderson in late March and its 54,000-square-foot, state-of-the-art, pharmaceutical grade cultivation and processing facility this spring. Out-of-state patient cards and recommendations will be accepted for Las Vegas tourists. WEEKLY YOGA AT LAKE LAS VEGAS: Maria C. Bartrum is teaching Wisdom Flow Yoga every Thursday from 8 to 9:15 a.m. through May (except March 17) overlooking the 320-acre Lake Las Vegas either on the beach, weather permitting, or in the Reflection Bay Golf Club banquet room. Class is $15, $125 for a 10-class pass, or free when you bring a new friend. Mat rentals are $5. For information, contact Bartrum at mcbartrum@gmail.com. DOWNTOWN SUMMERLIN HOSTS ‘CELEBRATION OF LIFE’-SPRING FESTIVAL: For the second year, Downtown Summerlin® is partnering with St. Jude Children’s Research Hospital® to unveil its 2016 “Celebration of Life” sculptures and kick-off spring with the arrival of the Easter Bunny and Spring Festival with festivities starting at noon on Saturday, March 12. The event includes kid-centric activities like a petting zoo, a spring themed social media photo backdrop, relay games, flower crown making, umbrella painting, hop scotch, cookie decorating, music and more. The “Celebration of Life” exhibit being unveiled at 1 p.m. will feature a collection of 10 three-dimensional, five-foot sculptures created by Summerlin-based artist Dorit Schwartz. Each sculpture is painted by a variety of artists. The sculptures will serve as permanent fixtures at Downtown Summerlin. REHAB BEACH CLUB KICKS OFF 2016 SEASON AT HARD ROCK IN APRIL: REHAB Beach Club will kick off its 2016 season at Hard Rock on Saturday and Sunday, April 23 and 24. This year, REHAB will add an influx of electronic dance music (EDM) artists to its lineup and will host exclusive DJ residencies with Bingo Players, Flux Pavilion, Knife Party and R3HAB. The dayclub open from 11 a.m. to 7 p.m. will also bring back Crystal Hefner and DJ Pauly D for exclusive show engagements. REHAB will undergo extensive renovations to create a more festival-style experience. In addition to REHAB’s signature Saturday and Sunday events, Backyard Pool Party Fridays will return April 29 and Just the Tip Wednesdays industry day starts up on May 4. Tickets to REHAB start at $20 for women and $40 for men. RANDOM NEWS ITEMS: Every year, thousands of basketball fans converge in Las Vegas to watch college basketball finals. Screenings and food and beverage specials will be happening all over town from Tuesday, March 15 through Monday, April 4. The new blue IKEA store under construction on 26 acres on the west side of the valley off the 215 will open at 9 a.m. on Wednesday, May 18. 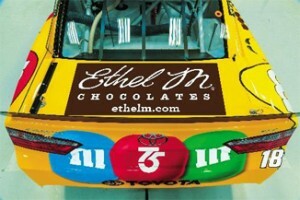 Ethel M® Chocolates, a division of Mars, Inc., has partnered with Las Vegas native son and 2015 NASCAR Sprint Cup Series Champion, Kyle Busch to unveil the Kyle Busch Chocolate Collection, a limited 16-piece chocolate assortment featuring Busch’s favorite Ethel M specialties priced at $29.99. The chocolatier’s famous name is also featured on Busch’s No. 18 race car. Morelli House downtown at 861 E. Bridger Avenue is holding public tours March 12-16 starting at 10:30 a.m., 11:30 a.m. and 1 p.m. The house’s original owner was Antonio Morelli, who was the orchestra conductor of the former Sand’s Copa Showroom for nearly 20 years. The Mob Museum downtown unveiled a new temporary display detailing the 2015 prison escape of Mexican drug lord Joaquín “El Chapo” Guzmán. The centerpiece is a scale model tracing Guzman’s escape through tunnels dug beneath his cell inside Mexico’s Antiplano federal prison. March is National Women’s History Month and the Neon Museum will once again honor the occasion by updating its regularly scheduled Neon Boneyard tours to include notable facts about Las Vegas’ most interesting and influential women. The new Mrs. Nevada-America titleholder is Lauren Cahlan who will represent the state at the Mrs. America pageant being held locally at the Westgate on Thursday, Aug. 25. The Silverton will hold a Great Garage Sale and Antique Show in the Veil Pavilion on Saturday, March 12 from 6 a.m. to 1 p.m. Admission is free and $5 for Early Bird admittance from 6:30 to 8 a.m. And the LV Craft Show will be there on Sunday, March 27 from 10 a.m.–6 p.m. with more than 50 vendors. Admission is free. The D and Downtown Las Vegas Events Center (DLVEC) will introduce an all-new monthly professional series “Knockout Night at the D” starting Saturday, March 12 at 6 p.m. Five-time, two-division world champion Zab “Super” Judah (42-9, 29 KOs) will headline the inaugural event under the massive 20,000-square-foot tent at the DLVEC. Tickets are $65 ringside and $20 general admission. On Saturday, March 19, the Neon Museum Boneyard and Boneyard Park will hold Aladdin’s March Magic, a family event appropriate for pre-school through third grade children from 5 to 7 p.m. Cost is $5 per person and reservations required. 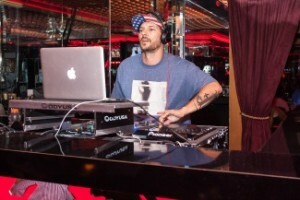 Dancer, musician and actor, Kevin Federline, will host his birthday bash, followed by a guest DJ set, at the Crazy Horse III gentlemen’s club on Saturday, March 12. FUNDRAISERS ON THE HORIZON: Aid for AIDS of Nevada (AFAN) will host the 26th Annual AIDS Walk Las Vegas on Sunday, April 17 at Town Square starting at 8 a.m. Last year, more than 6,000 people walked, raising more than $400,000 to directly benefit folks with HIV. Penn & Teller will serve as grand marshals for the 15th consecutive year and leaders of the Penn & Teller Challenge, with exclusive fundraising incentives. The public is invited to attend the Maibock Tapping Party at Gordon Biersch on Thursday, April 14 from 5:30-7:30 p.m. where 100 percent of silent auction and beer ticket sales will benefit Opportunity Village. Each guest will receive one complimentary beer along with a sampling of Gordon Biersch’s seasonal menu. Additional beer tickets will be $5, and can be used for up to one month following the event. Happy hour items will be available until 6:30 p.m. Easter Seals Nevada will host its 8th Annual Easter Walk & Roll event on Saturday, March 26 at Lorenzi Park. The walk at 9 a.m. will follow with a day-long Easter carnival at 10 a.m. with family friendly activities, including a petting zoo, egg hunts, live music and games. Registration for the fundraiser begins at 8 a.m. and is $35 for adults and $20 for kids, seniors, military and virtual walkers. Fremont Street Experience will be hosting a SlotZilla Charity Challenge to benefit The Animal Foundation with 100 percent of SlotZilla revenue going to the charity on Thursday, March 24 from 1 to 7 p.m.